Use the form below to inquire about Classic Resort Near Thariode . Use the form below to reserve for Classic Resort Near Thariode . 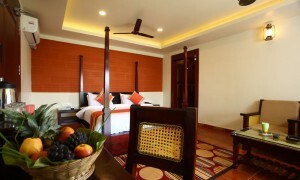 Air Conditioned Room, Free Wi-fi Internet Access, Hot and Cold Running Water, Intercom, Mini bar, Private Balcony/Verandah, Tea/Coffee Maker, TV with cable connection in each rooms. If you are looking for a place to unwind in total peace and lots of O2, this Classic Resort near Thariode at Vythiri is the place to be! This beautiful, Classic Resort near Thariode bundled up in the blankets of the Banasura Hills in Vythiri is a hill station that falls in the Wayanad district of Kerala. It is one of the most beautiful places in Kerala, with many spice plantations as well as tea and coffee estates that make it a perfect retreat to rewind and rejuvenate. This Classic Resort near Thariode is a beautifully done retreat keeping in mind the city-dweller – a home away from home in the true sense! This Classic Resort near Thariode gives you plenty of opportunities to experience nature without your luxuries being curtailed. 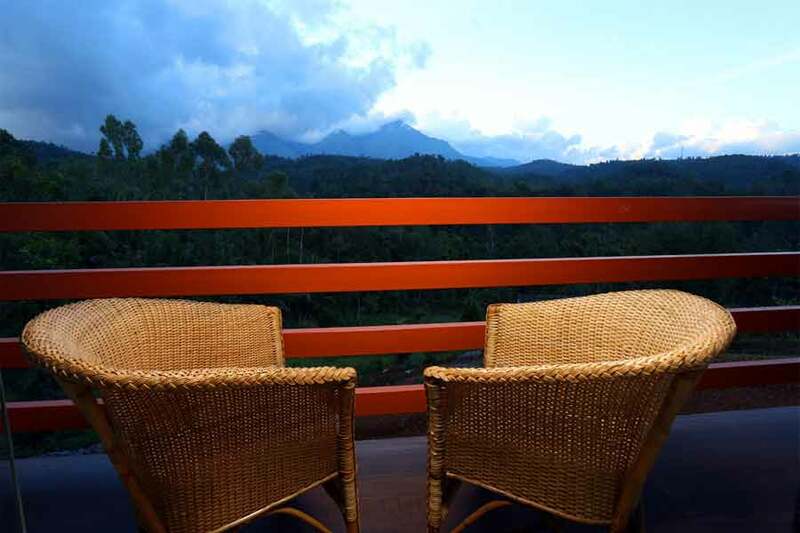 This Resort tucked away in the laps of Wayanad, has eight independent cottages with beautiful views of the majestic Banasura Hills. Flora and fauna can be found in abundance in the hills that surround the Banasura dam which is considered the second largest in Asia. The Classic Resort near Thariode is close to Vythiri making it a perfect place for weekend hangouts for Bangaloreans, Chennaikars, & Keralite communities alike owing to its proximity. 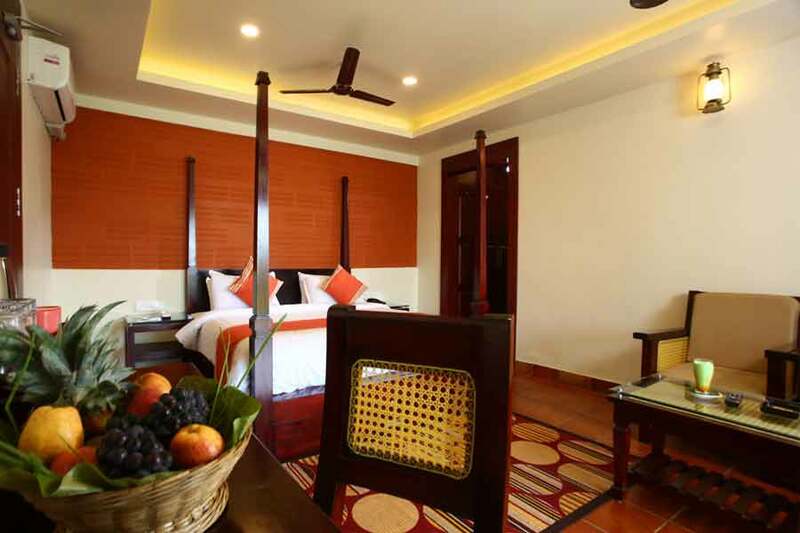 The resort is a perfect choice for travelers eyeing indulgence but within a moderate budget. The cottages have been tastefully designed with special attention to detail not missing the fact that it doesn’t eat up space from the surroundings, giving guests ample opportunity to roam around in nature’s bounty. The menu includes a variety of cuisines – South Indian, North Indian, Traditional Malabar, Chinese, and Continental. Other facilities at this Classic Resort near Thariode include an infinity pool which is sure to rejuvenate your senses with the breathtaking views in the background. 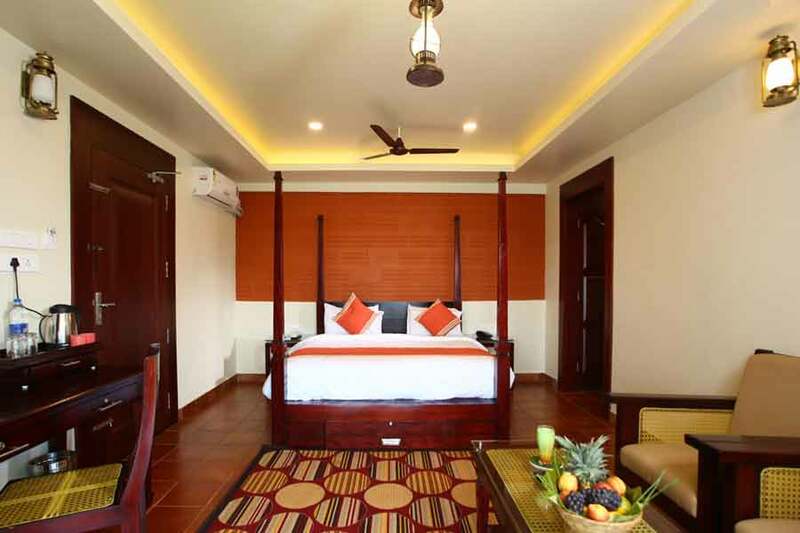 Guests staying at this Classic Resort near Thariode can stay connected with the outside world through internet access and LCD televisions with cable connection. 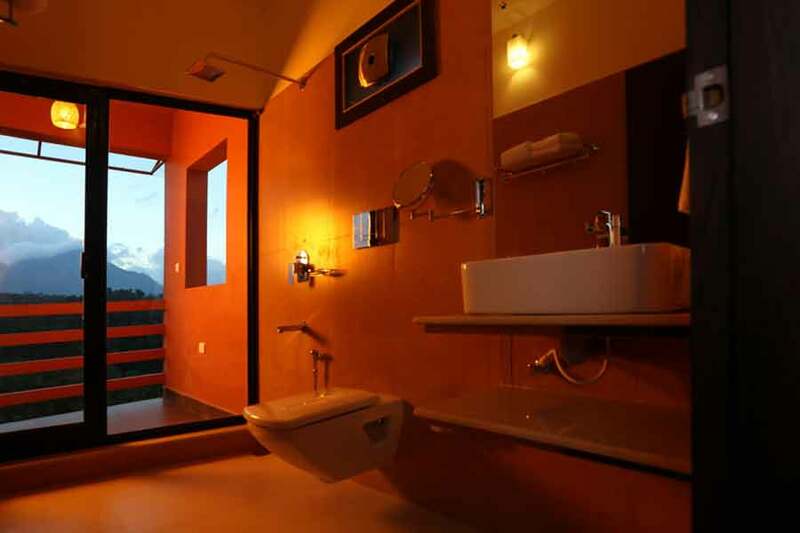 Since Wayanad has a pleasantly cold climate throughout most of the months, the resort offers its guests hot running water throughout the year. A special feature is the cookery show available for group bookings, where guests get to pick up a few culinary tips from master chefs! Guests are required to provide nationality proof on arrival as demanded by law. A government approved identity document is required at the time of check-in. Indian citizens can produce driving license, passport, Aadhar Card, or election ID card. PAN Card is not considered valid ID but is needed if booking payment is made in cash. Foreign tourists will need to have proof of identity as per regulations including passport and visa. Have to permit webcam photo to be clicked as per government regulations. Check-in - 1400 hrs and check-out - 1100 hrs. Early check-in and late check-out is subject to availability and will be chargeable. Checkouts from 1200 to 1800 hours are subject to 50% of room rate and thereafter at 100%. All arrivals prior to 0600 are billed from the previous night. For any disputes in payments and any other legal disputes, the jurisdiction of the court will be at Kalpetta in Wayanad district, Kerala. The hotel management has full rights to recover full amount from customers in the event of damages to property amenities. All the guest need to accept hotel rules and rules of the Government of India. Unmarried couples are strictly not allowed on the property. Couples need to bring marriage certificate. Alcohol consumption is permitted only in the allocated room. After a few laps at the infinity pool, lounge around in the cozy nooks with a book or some music. Play some indoor games or sit out on the open lawn simply drinking in the spectacular views. When the weather is fine, you might be able to enjoy a warm campfire as dusk falls. Should you want to do some exploring, Vythiri has a lot of tourist attractions to keep the earnest traveler occupied. These include the Pookode Lake which is a natural water lake set amidst scenic mountain slopes 770 meters above sea level. This beautiful lake that reminds one, of the map of India, is a hot favourite with kids and elders alike owing to the soft trekking and boating opportunities here. Chembara peak is known to be the highest peak in Wayanad standing tall at 2050 meters and is a must visit for professional trekkers. A lake in the shape of a heart on the way up is a major attraction along the trek route. The District Tourism Promotion Council provides trekking equipment and knowledgeable guides at a nominal rate. The drive to Soochipara Falls through the various beautiful tea estates is enough to motivate any ardent tourist to leave the comfort of their resort rooms! Soochipara waterfalls which translate to ‘needle – rock’ is a three - tier fall and is a strictly plastic free zone, just like any other tourist spot. The little islands that pop out from the blue waters of the Banasura Sagar Dam provide a magnificent view to any visitor who sets their foot here! The Wayanad Wildlife Sanctuary or the Muthanga Wildlife Sanctuary lies between the two districts of Wayanad and Kozhikode. The Sanctuary, rich in biodiversity, is part of the Nilgiri Biosphere Reserve and the Nagarhole Wildlife Park in Karnataka . Apart from elephants, deer, and other wild animals the forest is said to be an ideal home of the King Cobra! 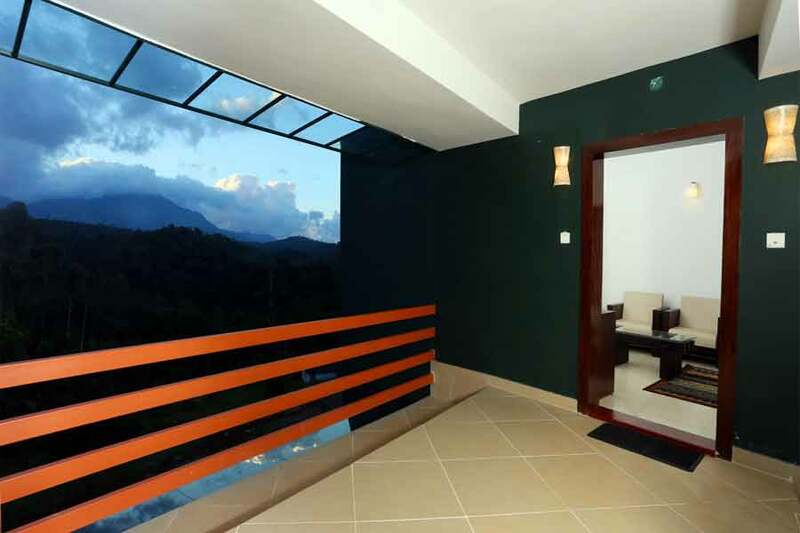 This Resort is situated in the Wayanad District of Kerala, on the Vythiri Tharuvana Road in Thariode. This resort in Pozhuthana via Kalpetta in Wayanad is not too close to the town making it an ideal place to enjoy and experience nature. 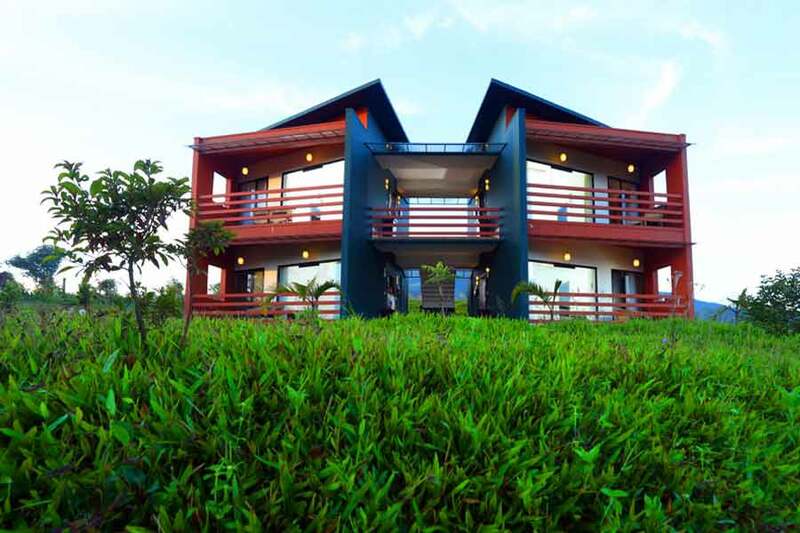 Beautifully perched atop a hill offering panoramic views of the surroundings, this resort is far from the madding crowd and meets the requirements of tranquility and serenity. 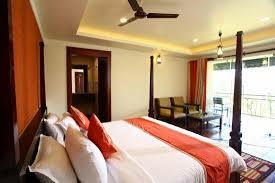 The rooms are spacious with balconies and neat bathrooms. 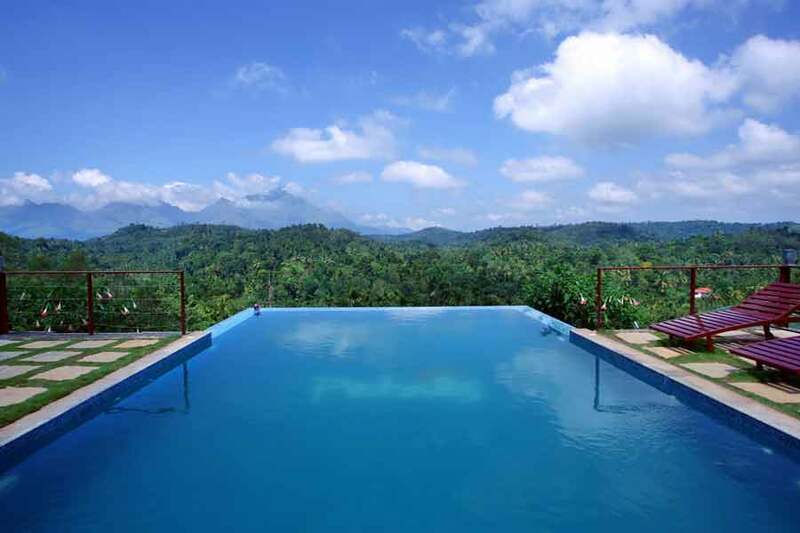 A beautiful infinity pool overlooking the hills and the vast expanse of greenery beckon visitors to the property. Indoor games like badminton and carom are available to keep the kids busy. The amazing staff is extremely amiable and helpful. The choices in food range from sumptuous Kerala delights to various other cuisines. What more could we ask for!